Providing great customer experience is the secret to business growth. But what’s the secret to great customer experience? Ready to reap the rewards of great customer experience? More satisfied customers, better retention, increased revenue and happier contact centre agents – that’s a battle worth winning. If it’s time to define your company’s customer experience, fill out the form to your right and get your copy of the How To Win On The Customer Experience Battleground: Where Businesses Are Won And Lost slide deck now. 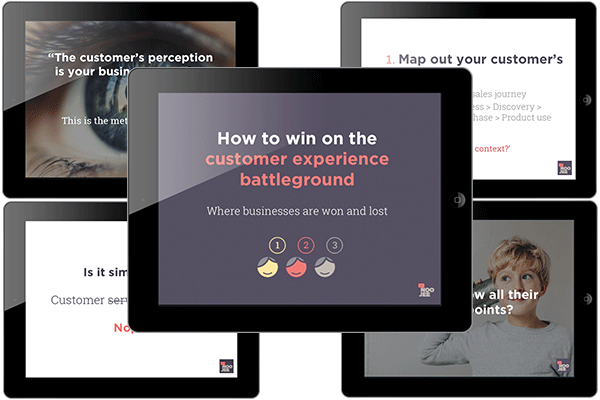 View How To Win On The Customer Experience Battlefield Now!